Want to play chess, checkers and go together with us? For Escape Venice ASD members the cost is only 5€ for the whole period until 31 December. Not a member? No problem! 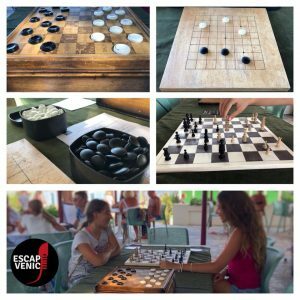 You will register with only 5€ per year and you can also access the escape room “The Merchant of Venice” as a member of the “Escape Venice ASD”. We are now planning new Chess, Checkers and Go courses at different levels. What is your level?